Urban nature doesn't get anymore wild, and yet as easily accessible as Stringers Ridge. It's a great place to trail run; the ascents don't kill your legs or morale, and the descents are fast and fun. 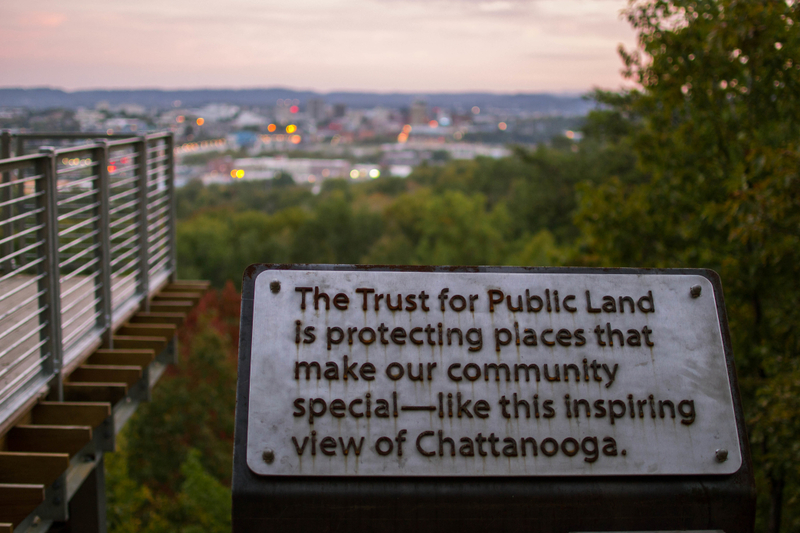 You don't even have to leave town to reach Stringer's Ridge, a 92 acre park just north of downtown Chattanooga. Out to accomplish a short hike, alone or with the family? Stringer’s will accommodate you. Need to clear your head by running fast and hard? Stringers is your one-stop solution, a convenience store of nature that is far bigger on the inside than it looks from the road. 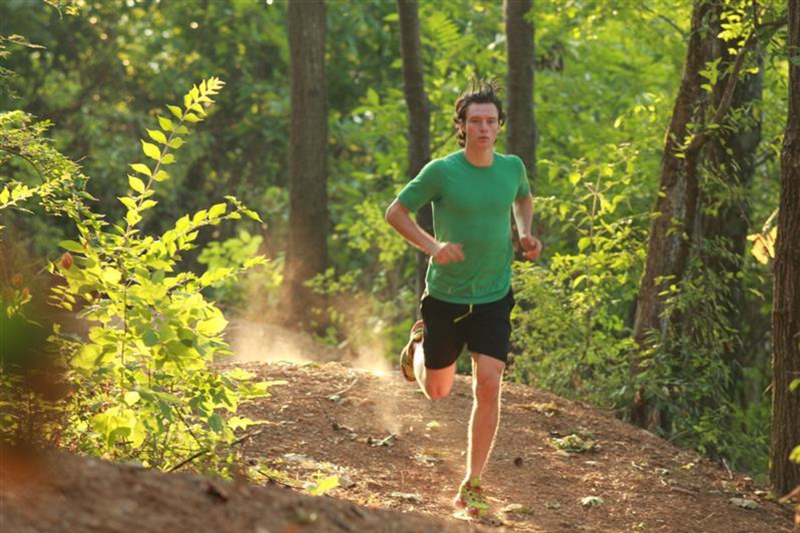 Trail runners are among its most loyal customers. 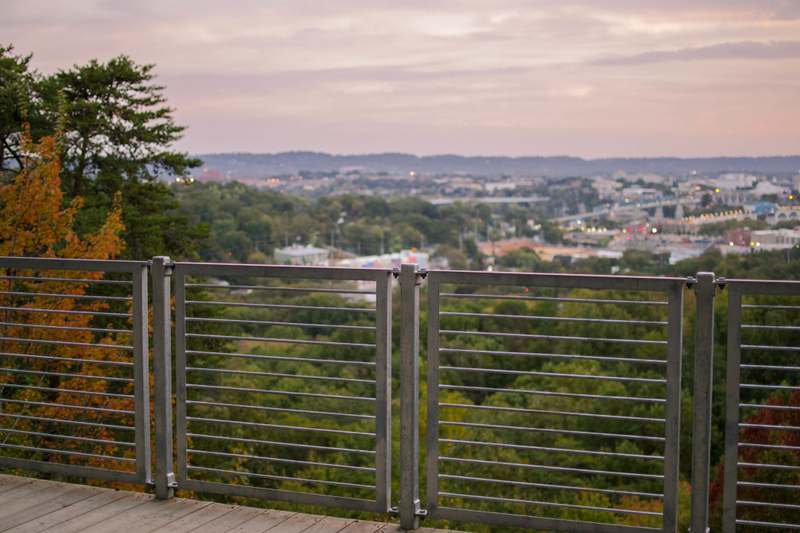 Stringer’s location overlooking the city makes it a favorite for hybrid street/trail runs that begin downtown or on the North Shore. Those who make the quick drive up Cherokee Boulevard or Spears Avenue to the parking areas on the east and west sides of the park will connect with fast, flowing single track with even greater ease. For an easy run with a gradual ascent, start at the Cherokee Boulevard side of the park and head up the remains of the old asphalt road. 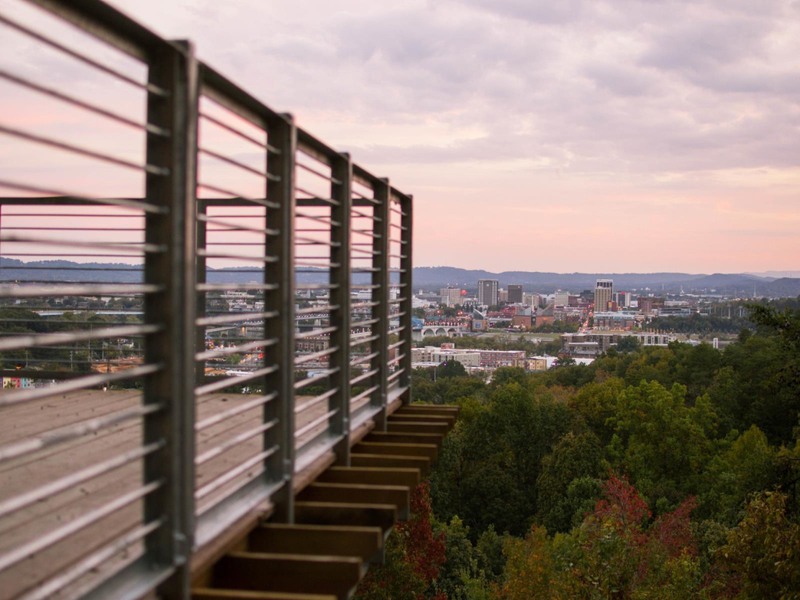 To keep things relaxed, you can stick to the double-track past the overlook of the city for nearly a mile, then loop around on an easy singletrack known as the "Strut." More advanced runners will want to jump on the four mile "Blue Loop" that twists, climbs and descends around the perimeter of the park. You'll find that Hill City is an appropriate trail name, but "Double J" on the other side also has its own vertical charms--moderate but still notable. Coming in from Spears Avenue involves a more spirited climb on the singletrack up from the parking lot. Again, you'll have options to take the more challenging "Blue Loop" or cut over on the Strut to coast along on a shorter run. However you approach, you can traverse almost five miles of singletrack that is typically groomed to smooth perfection. You can download a printable Stringer's Ridge trail map from the Trust for Public Land. Runners of all abilities will appreciate the convenience of Stringer’s Ridge, which allows you to step from the city into the natural world as if through a doorway. The Spears Avenue trailhead is a straight shot from the North Shore, and has room to picnic plus a bicycle pump track. The other primary entry point is behind Nikki's Restaurant just before the tunnel on Cherokee Blvd. The direction you will travel on the loop trail varies by the day, so read the signs and be on the lookout for mountain bikes, especially in the blind curves. The park is open daylight hours only. Avoid leaving valuables in your car at either trailhead.